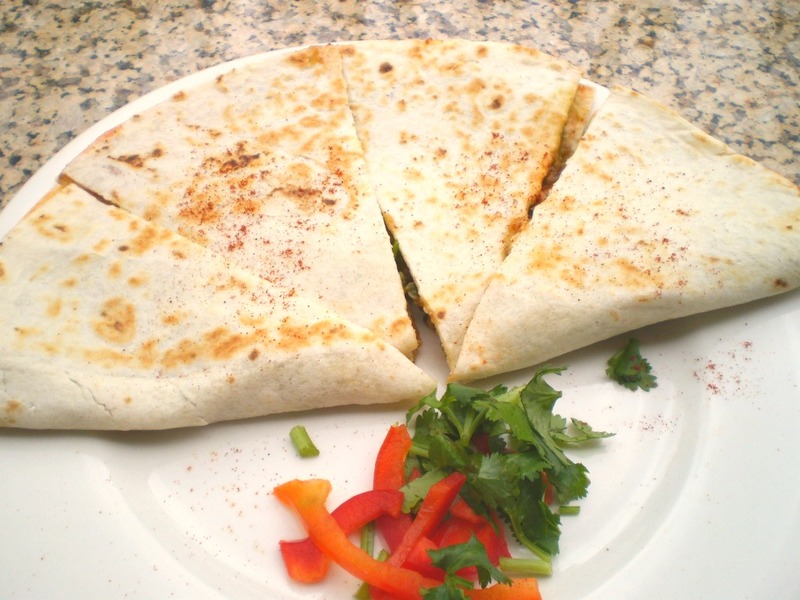 Delicious Daiya cheese melted to perfection in a tortilla filled with avocado, salsa, seasoned soy mince and hot sauce. 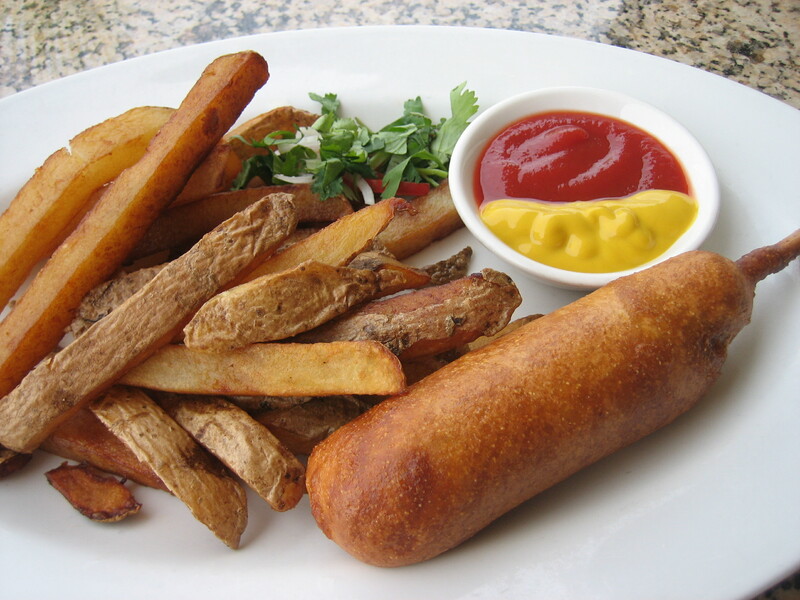 Relive childhood memories with our vegan hot dog coated with homemade cornbread batter. 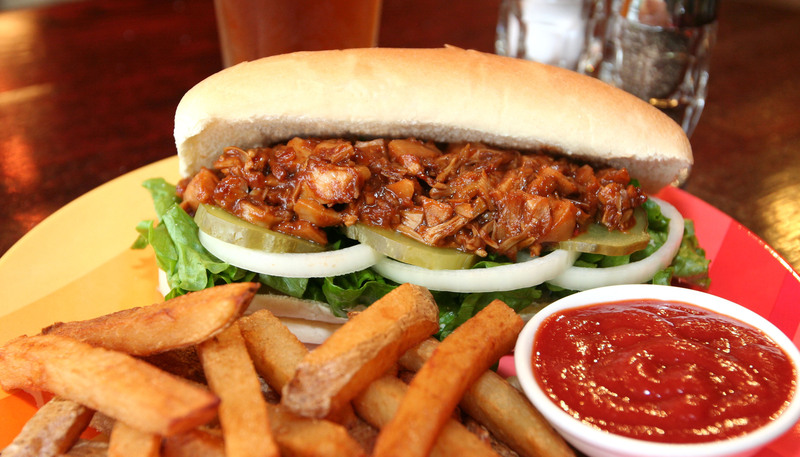 Served with a side of our Fresh Fries.